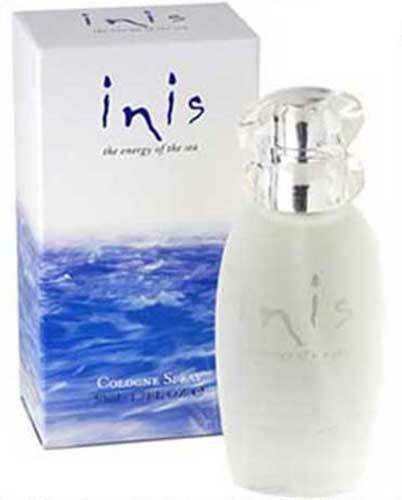 Inis, the Energy of the Sea, is a women's cologne spray. The Inis 50ml spray has been replaced with the much more economical Inis 100ml spray. Inis, Irish perfume, is correctly an Eau de Cologne or cologne. A Eau de Cologne has a concentration of 4-8% essential oils and is generally light and fresh. Inis is also known as the Energy of the Sea and this Irish perfume is featured in a 50ml (1.7 ounce) spray bottle. Inis perfume is the most popular woman's Irish fragrance at The Irish Gift House and it is made in Ireland by The Fragrances of Ireland. Inis Irish perfume is a women's cologne spray. Inis body lotion features seaweed extracts and shea butter in a pump bottle. Inis body lotion features seaweed extracts and shea butter in a convenient tube. Inis bath and shower gel is the the Energy of the Sea. Inis Irish soap is made with sea minerals along with shea butter and pure vegetable ingredients. Inis soap is made with sea minerals along with shea butter and pure vegetable ingredients.